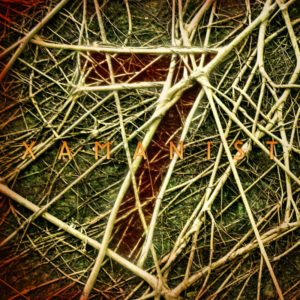 7 is the second album by Portuguese producer Xamanist (Sérgio Ribeiro). Seven years after making his debut with Initiation (also released on Ektoplazm) comes this seven track journey through earthy and organic full-on and progressive psytrance with strong old school Goa trance influences. These songs reflect the seven years of change, growth, and evolution, all of which reshaped his creative vision. Bringing a new life into this world and becoming a father was key to this transformation, instilling within his music all the joy, enlightenment, and responsibility that accompanies this pivotal experience. Shifting from more night-oriented psychedelia to a more progressive and hypnotic vibe, Xamanist maintains his identity as an old school Goa trance composer open to new textures and sounds that have arisen over the many years of psychedelic trance evolution. Featuring voices by Sérgio Ribeiro, Joana Tomaz, and Mia Ribeiro. Track 3 originally by Random Mode. Mastering by Colin OOOD at the Stooodio with artwork by Basilisk. MP3 Download | FLAC Download | WAV Download · Download count: 24,831.
hey, i remember your first release, your artist name kind of got stored in a close place in my memory because you’re from Portugal (at least i think that’s why). i was like 10 secs into track 1 and i just asked inside myself…”who mastered this”… and there it was Colin… <3 when Colin is mastering…automatic goodness inside!!! Right on the spot, great mastering by Colin Oood! Very nice! I liked it as much as your first release. Thanks for your work and as a result a great album! Thanks Vaso, it’s great to aknowledge your support! Grande Xamanist caralho!! :D Goa bastante inovador! A influência é clara mas acompanha os tempos de hoje, sem perder a essência. Transborda de alegria este álbum! I opend Ektoplazm , saw your Album first , clicked on it and the music took me in. The first track had me already all wrapped in. Great work i really enjoy this album ! stunning album and stunning cover! Thank you Stupido and Samarthya, I’m very glad you liked it! Thank you Claudio and mchakra! Beware, there’s a slight clip in track #3 at 6.53. And this is a great album indeed. Duuude, this is soooo good. Thank you dear mister. I had a very bad evening so far it’s 22:18 p.m. here in Berlin. but I’m to driven for this. I’l smoke a joint, to celebrate this gloryful found and kepp thnaking you and our dear and beloved founder. Peace to ya all, I see I wrote a lil bit much. Excelente trabajo, llevas el Goa a otro nivel. Gran evolución.